Slow Cooker Garlic Sweet Potato Mash is an easy way to cook sweet potatoes for all the sweet potato fans! Don’t you think that sounds delicious and easy for a fall or winter side dish? Click here to see The Top Ten Slow Cooker Sweet Potato Recipes! Click here to see The BEST Instant Pot Sweet Potato Recipes! Last year about this time I shared Ten Slow Cooker Recipes for Sweet Potatoes, which was a great collection of both sweet and savory sweet potato dishes for Thanksgiving. But silly me to think I could limit it to ten great slow cooker sweet potato recipes, and when I spotted this recipe for Slow Cooker Garlic Sweet Potato Mash from Skinnytaste I just had to feature it. Personally I’m all about savory sweet potatoes, and sweet potatoes + garlic sounds amazing. 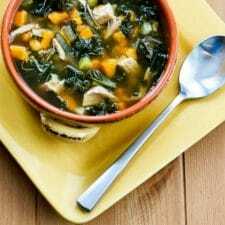 And if you’re a fan of using the slow cooker to save oven space for a holiday meal, see all the Thanksgiving Recipes for the slow cooker at 50 Recipes for a Slow Cooker Thanksgiving. 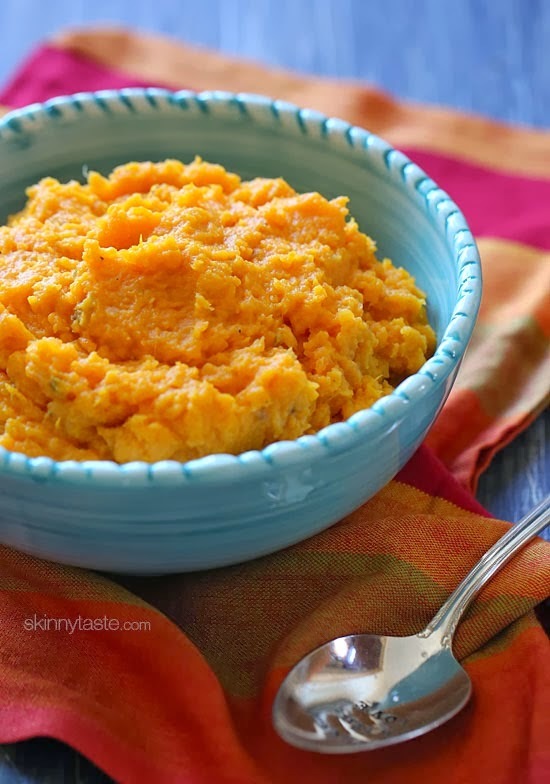 Get the complete recipe for Slow Cooker Garlic Sweet Potato Mash at Skinnytaste. Rochelle I love them both. Hope you enjoy the recipe!